We're thankful for you our readers. 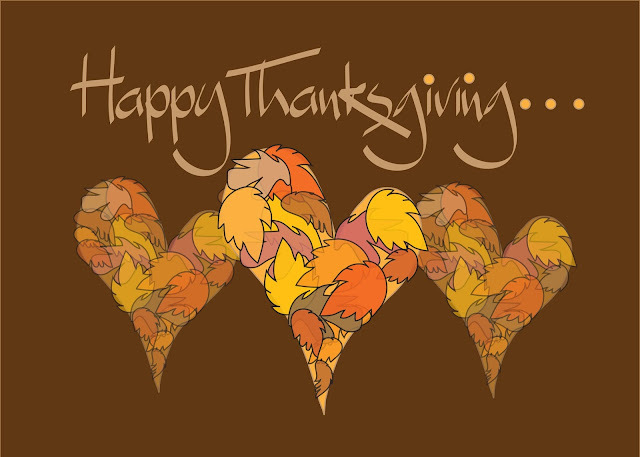 Have a very Happy Thanksgiving from the ATA Team! @UNICORNS BACON yesterday - I'm glad to hear Anderson is in Brazil, a place where you take it easy no matter what. Hope he has a great week off. 1. More protests in Chicago for Laquan McDonald's murder by cop, Rosa Flores reported from the march, Berman interviewed Officer Van Dyke's attorney Dan Herbert and then it was a panel with Sunny Hostin, Jeffrey Toobin and David Klinger. 2. "Paris Terror Attcks" - the investigation, the search for suspects, Martin Savidge and Paul Cruickshank covered this. Also in this segment was more on the Russian war plane shot down by Turkey and how the two countries are dealing with each other, Matthew Chance had the details. 3. The state of U.S. ariport security with Rene Marsh. Gary Tuchman did the Bulletin. 4. Former NFLer Frank Gifford had CTE, Q&A with Christine Brennan for more info. 5. Here's where things went downhill - Trump made fun of a handicapped NY Times reporter in a campaign speech but that wasn't the focus here, it was on the short speech Melania gave and that's apparently all the reason needed to broadcast AGAIN Randi Kaye's flattering report on her (this was either the 5th or 6th time!). 6. Update on the Chicago protest march and a clip of Anderson talking to Spike Lee and Father Michael Pflieger about gun violence in that city. Maybe the 360 staff just wanted to check out early and not break a sweat so close to quitting time. What could have been a serious look at Trump's heartlessness or even a factcheck on his comments was instead a repeated spotlight on Melania. Happy Thanksgiving to the ATA Team! And to all who comment here! Instead of being trampled by Black Friday crowds, come here and post a comment on Chicago or politics or even Melania. Make a prediction on what next week's big story will be. I predict Queen Elizabeth will abdiczate, head to Brazil and spend her days relaxing on the beach. No more stuffy crown for her! THE 'CHUCKLES THE CLOWN' EPISODE ON THE OLD MAY TYLER MOORE SIT COM. IT WAS TAKEN AS A SIGH OF RELIEF....IT WAS NOT MEANT TO BE TAKEN OFFENSIVELY, AND TO MY KNOWLEDGE, NO ONE DID, 15 YEARS AGO. TO SAY THEY WERE MUSLIMS IS A LIE. THERE WERE MIXED NATIONALITIES.